Casement windows (sometimes called crank-out windows) can add a great breeze and view to any room in your home. They also can have broken or fogged glass in them just like any other window in your home. You are then facing a decision: replace the window or replace the glass. Replacing the whole window can be a very expensive ordeal. In addition it is much more involved fitting and installing a whole window. 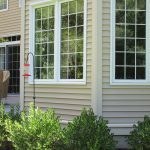 Make it easy and save some money by having Pioneer Glass install perfect fit replacement glass. We can make replacement double pane insulated glass units to fit almost all casement windows and install the glass for you quickly without disruption or mess. These window glass units can be with or without grids and with insulating features such as low-e glass and argon gas. 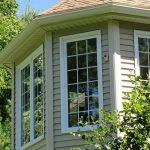 For more details on double pane glass, click here.